Ada pertanyaan untuk Marco Polo Plaza Cebu Hotel? 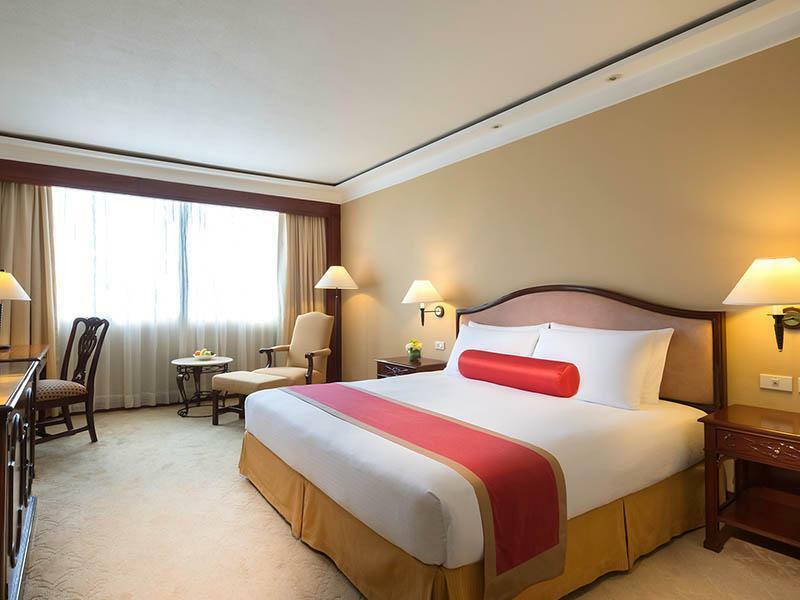 Jika apa yang Anda cari adalah hotel yang terletak strategis di Cebu, carilah Marco Polo Plaza Cebu Hotel. Kehebohan pusat kota terletak hanya 3. Km dari sini. Untuk pilihan lokasi jalan-jalan dan obyek wisata lokal, Anda tidak perlu pergi jauh-jauh karena hotel ini terletak dekat dengan Giasano Country Mall, Beverly View Events Pavilion, Kuil Taoist. Gunakan kesempatan untuk menikmati pelayanan dan fasilitas yang tidak tertandingi di hotel Cebu ini. Hotel ini menyediakan akses ke sejumlah pelayanan, termasuk layanan kamar 24 jam, WiFi gratis di semua kamar, resepsionis 24 jam, fasilitas untuk tamu dengan kebutuhan khusus, check-in/check-out cepat. 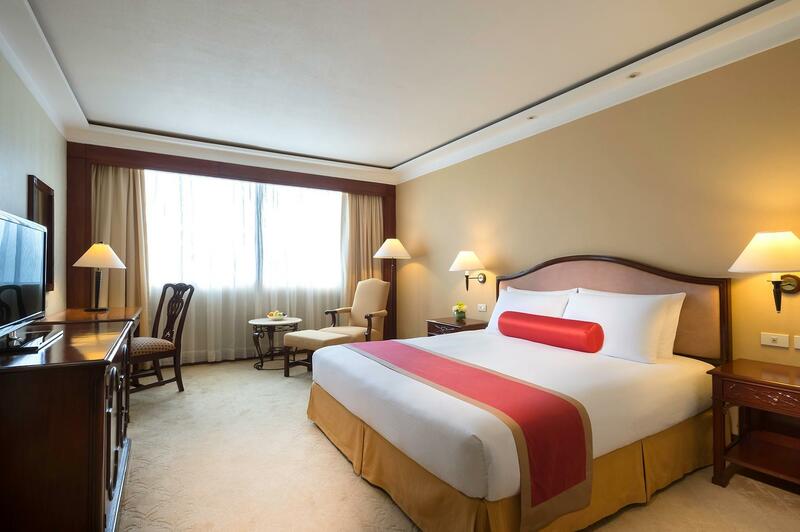 Marco Polo Plaza Cebu Hotel memiliki 329 kamar tidur yang semuanya dirancang dengan citarasa tinggi. Banyak diantaranya memberikan kenyamanan seperti televisi layar datar, telepon di kamar mandi, lantai karpet, akses internet - WiFi, akses internet WiFi (gratis). Hotel ini menyediakan sejumlah fasilitas rekreasi seperti pusat kebugaran, kolam renang luar ruangan, spa, pijat, taman bermain anak. Fasilitas super dan lokasi yang istimewa menjadikan Marco Polo Plaza Cebu Hotel tempat yang sempurna untuk menikmati penginapan Anda selama di Cebu. Pihak properti menyediakan layanan shuttle menuju area sekitar properti. Silahkan menghubungi pihak properti untuk informasi lebih lanjut. Properti hanya memperbolehkan 2 tamu dewasa dengan 2 anak atau 3 tamu dewasa tanpa anak untuk masing-masing kamar. Anak di bawah usia 7 tahun akan mendapatkan sarapan gratis. Anak berusia 7 hingga 12 tahun akan dikenakan biaya 50% dari tarif untuk dewasa. Letak yang strategis berada di ketinggian yang langsung dapat menikmati pemandangan kota terutama di malam hari. Hotel yang representatif, bersih serta pelayanan yang ramah dan cepat. Lokasi strategis di ketinggian pulau Cebu, keindahan kota dan pantai disisi lainnya langsung dapat dinikmati. Rate hotelpun relatif terjangkau dan cukup mudah dalam melakukan reservasi. Hotel menyediakan sutle bus yang melayani tamu PP ke shoping Mall setiap 2 jam. Overall, we enjoyed our stay because the service was friendly and helpful. However, when we arrived at our room though, the sheets on 1 of the beds was stained and the bathroom had a stinky smell. Housekeeping promptly changed the sheets and explained that an OJT person cleaned the room and he apologized for the miss. I was impressed with the quick action. The hotel rooms need renovation though. It looks like the bathroom shower was renovated but the sink and toilet, as well as the carpeting and furnishings in the room need updating. The shower, although.renovated is not well designed. The glass cover only covers half the shower area so the floor was soaking after every shower--unsafe and annoying. Had a similar experience at The Linq in Vegas a few years ago but after a lot of negative feedback, they already added shower curtains when I stayed there again just recently. Maybe Marco Polo can follow the same approach and add shower curtains or a door to fully close the shower...when they make the necessary renovation for the entire room. Staff nurse was really helpful when my hubby fell on the stairs. Thank you for checking on him. Had an absolutely wonderful stay here. The hotel itself is a little bit dated, however, it is truly a high-class establishment. The staff is the most friendly I've ever experienced anywhere in the world and quite professional as well. My only gripe is the restaurant/room service pricing, which is absurdly high. They do have some good items on the menu, but had some mistakes in the room service, which considering the price I'd expect to be flawless. Our book in time was a little lengthy, however we must remember this is probably the busiest time of year, all staff were wonderful and polite,. The buffet dinner and breakfast at The Marcopolo is excellent, the Best I’ve seen in Cebu, Thank you ,. We stayed the night on 11 Dec to attend the Cebu Expat Dinner. Check in went smoothly without too much trouble. They did ask for a 2,000 peso cash deposit, most hotels charge 1,000. The room was nice and the A/C sure felt cool. Bathroom was clean and all appliances worked well. Beds were a little stiff on mattress but overall comfortable. Room was quiet. TV only offered Asia and CNN for English news, but because they only sign up for Sky Cable FNN is not even offered. The dinner and breakfast buffets were excellent. Large variety of foods to choose from. They do not label gluten free foods so I had to continue to ask the cook about ingredients. Large swimming pool, but very shallow. No diving anywhere. Small gym with one walking machine and there skiing machines. Several weight machines/benches and free weights. I tried jogging outside. steep roads and a lot of traffic makes it hard. The only but here is the location. We traveled to Cebu from Negros in our own car so that we will not have a problem with rides going downtown and back. This hotel is only 4.5kms away from SM city but it took us 2 hours to travel because of horrendous traffic. My advice is to travel early going downtown and going back to hotel very late perhaps in the evening because traffic during rush hours is terrible. Will stay again in this hotel but we will manage our travel time wisely next time around. I had a fruit basket and a personal note to welcome me back again...a simple act of gesture that made my stay beautiful..plus the awesome service that you get in every corner whether it’s housekeeping that you bumped into or at cafe marco, the lounge or el viento...beautiful would still be an understatement. The hotel maybe can provide transportation to restaurant nearby as walking alone at night is quiet dangerous. Charged a small fees and as guest I don’t mind to pay. Taxi driver said is too near to send us. Got a good deal here in Agoda for our Cebu vacation. 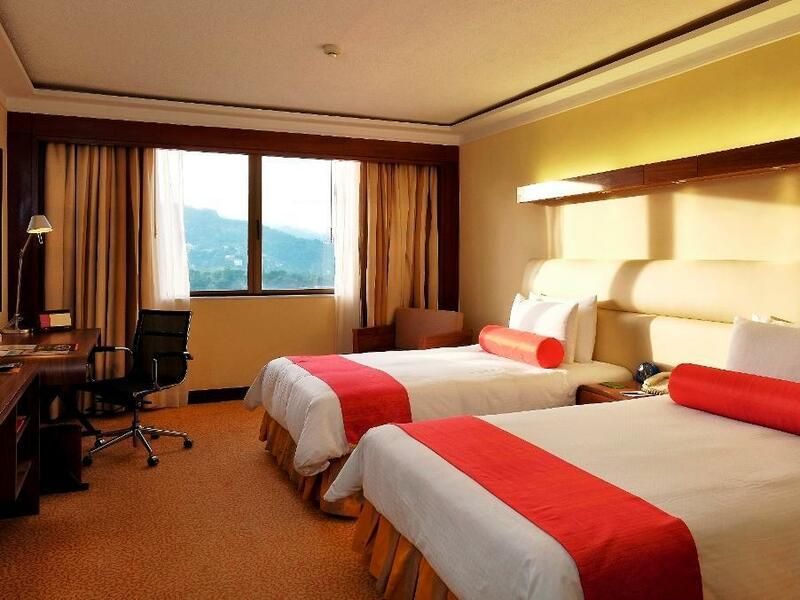 We love everything about the hotel except that its proximity to most of the malls and attractions is little far. Although it is close to some like Sirao Garden, Tops, Temple of Leah but we didnt have the time to go here. We spent good time in the hotel, just chilling inside the room and grabbing some food within the hotel restaurants. I think the only thing I wish they had is a toilet bidet. here hill top is clean air and nice view. if i am tired for travelling hotel is always prepared warm welcoming and perfect facilitys. 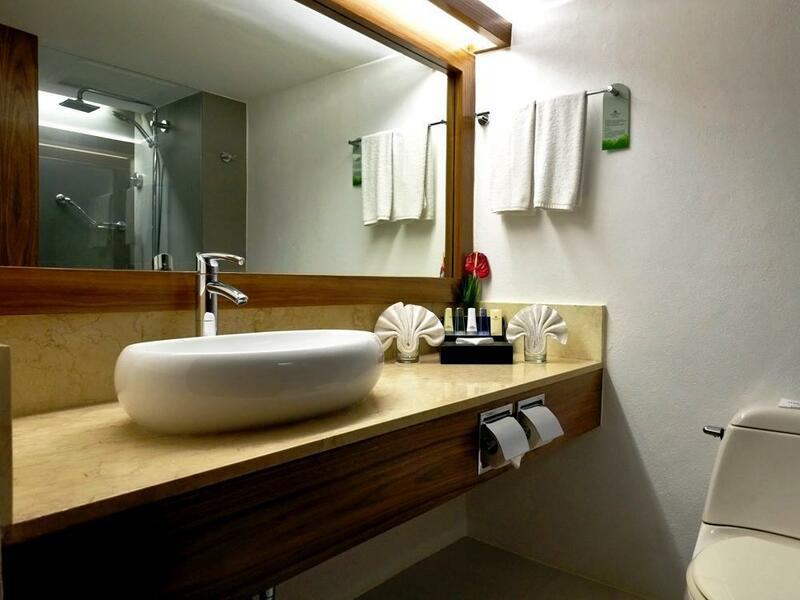 i oder with bath tub in room. it was good while always stayed in aircon room. helpful relaxing. i love all animaty here and perfect dry cleaning too!! i oder evening long dress in this time they are perfectly made up my dress fixed time. it was great help. thank you! here is my best stay always while in cebu. hill top and little distance from mall but here is easy to call taxi and 3times 8n day shuttle bus to go famous mall for free. pool is always clean with great view and here i can oder drinks and foods from terrace restaurant. gym and massage everything need is here. and here famous top loof bar is very nice view. here staff is actually great. korean, chinese, japanese philippino speakers always welcoming. i definitely stay next year too! i always choose my visiting cebu is best marco polo! staff are all nice and good facility, clean, and nice view and vety fresh air. little far from downtown but its okay here around have cafe, salon, massage, and bar. we can enjoyed all the time with best services here ! It was my wife's Birthday and i had booked an overnight stay with breakfast. First of all when we checked in we were informed that our room wasn't quite ready. So we were treated to coffee or tea in the lounge which was lovely. Our bedroom was really lovely and everything needed for a good nights sleep. We got a nice surprise when one of the staff brought to our room a nice little Birthday cake. I did mention it was my wife birthday when checking in! We enjoyed a lovely dinner at the Blu Penthouse Restaurant....was quite expensive, but i expected that! Another surprise, when our dinner was finished the staff come to our table singing Happy Birthday with yet another lovely Birthday cake. The breakfast buffet was superb..best ever. I would really recommend Marco Polo...FANTASTIC! Thank you to all the great friendly staff for making this special occasion...truly memorable! Please seve the best items Cebu has to offer in your buffet. The danggit was of poor quality & so was the lechon & lechon paksiw. All ala carte items ordered from from the lobby lounge & room service were good. Staff in FB outlets were very good! Bell staff, very good!